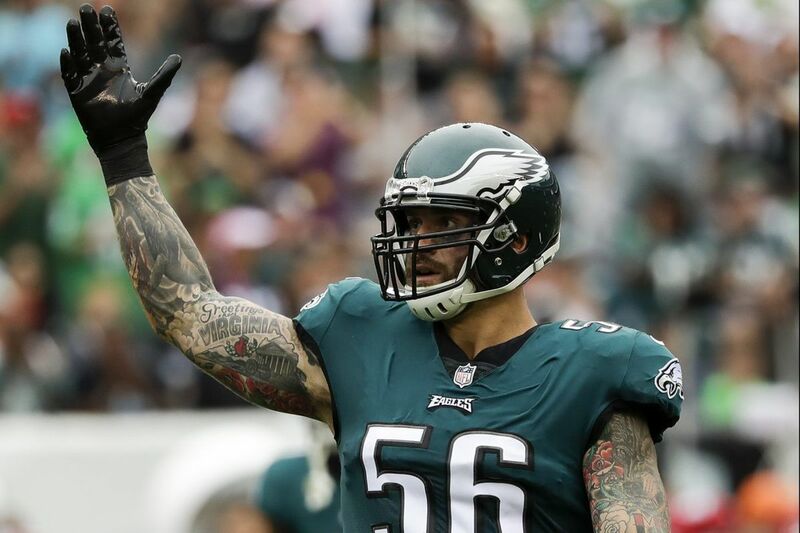 Eagles defensive end Chris Long is donating all his game checks from this season. Eagles defensive end Chris Long is playing his entire 2017 season for charity. Long's foundation announced Wednesday that he will donate his final 10 game checks this season to organizations that support educational equity in Philadelphia, St. Louis, and Boston — the three markets he has played in during his 10-year career. Earlier this season, Long pledged his first six game checks for scholarships at his private middle and high school in Charlottesville, Va.
Long has a $1 million base salary this season. As part of the latest contributions, Long is launching a "Pledge 10 for Tomorrow" campaign. It encourages fans and businesses to make a donation, with a goal of matching the pledges that Long is making. Long, 32, has two sacks in six games this season.